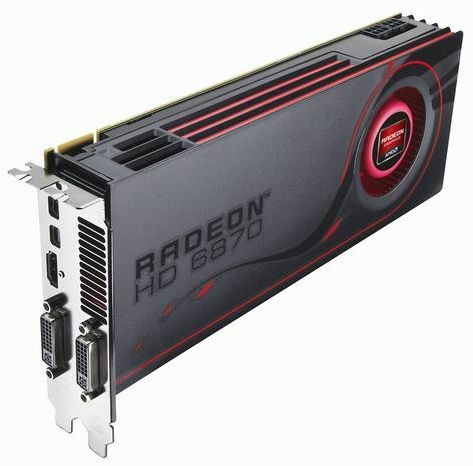 The Radeon HD 6870 is a Direct3D 11 / OpenGL 4 card and is based on the Bart XT GPU. This GPU is clocked at 900MHz and embarks 1120 stream processors or 224 vec5 processors. The Radeon HD 6870 comes with 1GB of GDDR5 memory clocked at 4200MHz effective or 1050MHz real speed (see here for details on memory speed). The TDP or thermal design power of the HD 6870 is 151 Watts (19W in idle). 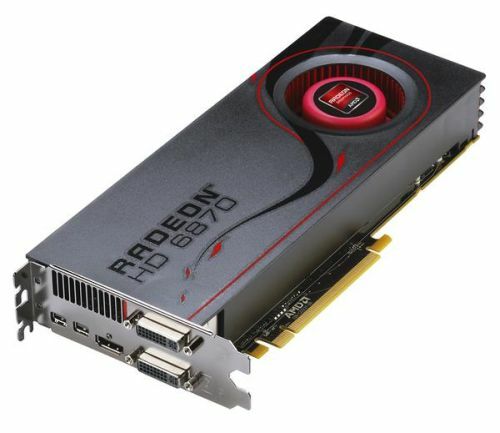 The Radeon HD 6870 targets the GeForce GTX 460 and should be 15% to 20% faster than the GTX 460. Interesting card, but I am still not convinced it deserved the 68XX name. Let’s see what the reviews have to say before drawing final conclusions. In any case, my eyes are focused on Cayman. yeah AMDs naming scheme is getting very confusing..having 2 different cores (the upgraded core barts, and the new achetechture in cayman) with this naming scheme is crazy..
they should atleast seperate them a bit more..
i mean HD68XX is barts..HD69XX is cayman..why couldnt they make barts the 68XX and cayman 78XX? it would save alot of confusion..
im guessing amd is banking on people buying the wrong card,then replacing it with the card they really wanted, so they can reap the benifits of inflated sales numbers!